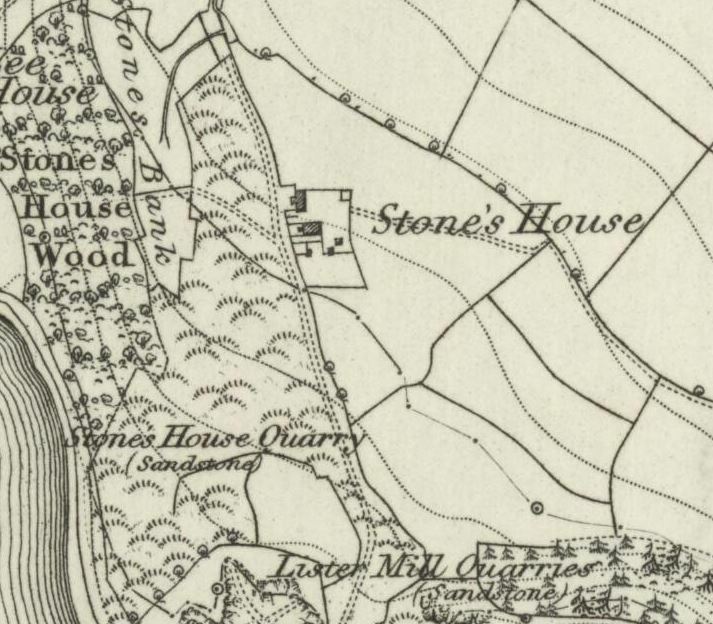 Stones House is closely associated with the quarries of the area, and is now the site of a car park near the Anglezarke viewpoint. Modern concrete obscures much of what came before, which was a hive of industry during the construction of the reservoirs. The earliest known inhabitant was a Thomas Shaw in 1625. The Shaws owned much land and property in the area, second only to the Pilkingtons, and their family trees often cross. A close-up of the original OS mapping. After the Shaw family, Roger Thropp was another well-known figure who lived here. He was some character, as you can read below. The present ments of the Constables of Bolton att the Quarter Sessions att Manchester the sixtenth day of October 1684. The high wayes within our towne are in good repayre. Wee know of none that keepe Guns, Spaniels, Setting dogs or other Engines for destroying of game. Wach and ward hath been truly kept and observed. The ale houses within our towne are all Licenced and keep Good Order. It is hard to make out the story in the clipped proceedings above, but I believe that Mr. Leaver was probably the judge who acquitted Thropp. Roger was also in court at again, due to an alleged conspiracy between Charles Topping, shoemaker, and William Smalshaw, alehousekeeper, against him. 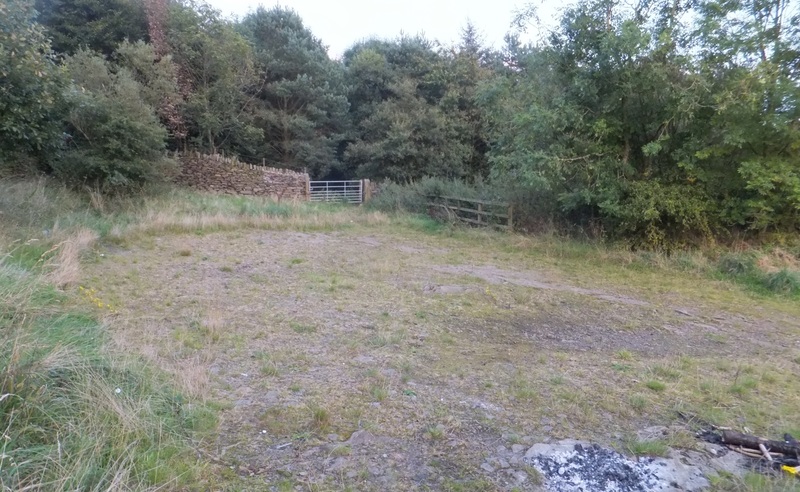 The car park that lies directly over what was the Northern end of Stones House. In 1712, Roger was still at Stones House when he was appointed as the churchwarden at Rivington. He became a non-conformist and his initials RT are carved either side of armorial bearings within Bank Street Chapel in Bolton. You can now park your car in the garden! 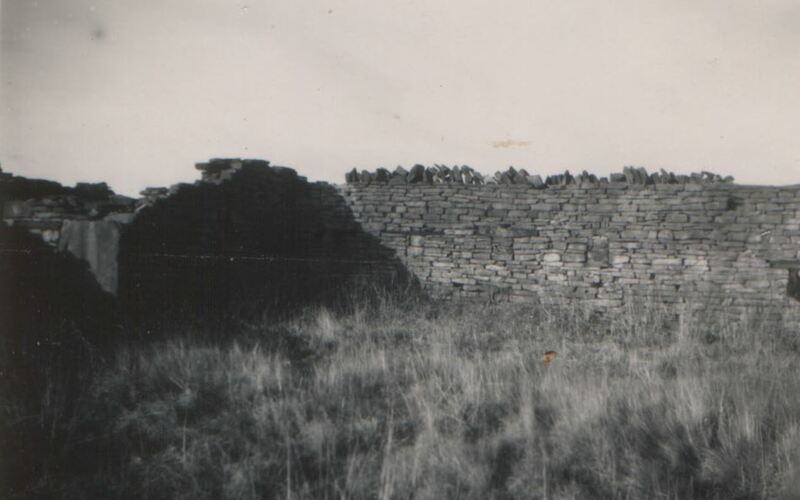 The Shaw family were involved in extended legal disputes over rights to Lead Mines at Anglezarke, and a Peter Shaw and his son Thomas became in debt and sold their estate to Hugh, 12th Lord Willoughby of Parham. 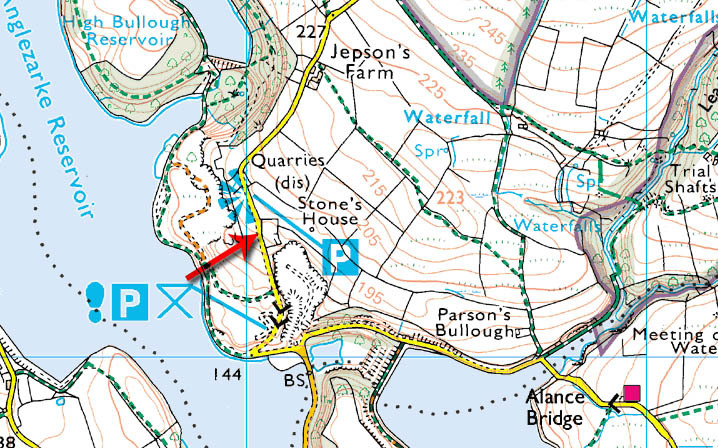 Hugh died in 1712, and the estate passed through the 13th, 14th and 15th Lord Willoughby’s until it ended up with his sister, Elizabeth, who had married – wait for it – a John Shaw of Stones House, Anglezarke. Elizabeth and John both had close connections to Rivington Unitarian Chapel. The Willoughby Pew is the main pew in the chapel and there is also a large monument to the family located inside. The connections here also meet connections with the Willoughby family from the English Civil war as the then Lord Willoughby of Parham was a Civil war Leader and prominent solider in that cause. John was born in 1702 and died in 1762. Seemingly, then the family moved out, because a mere 7 years later, in 1772-3, the churchwarden for Rivington was a “Thomas Grundy, for Stones House”. 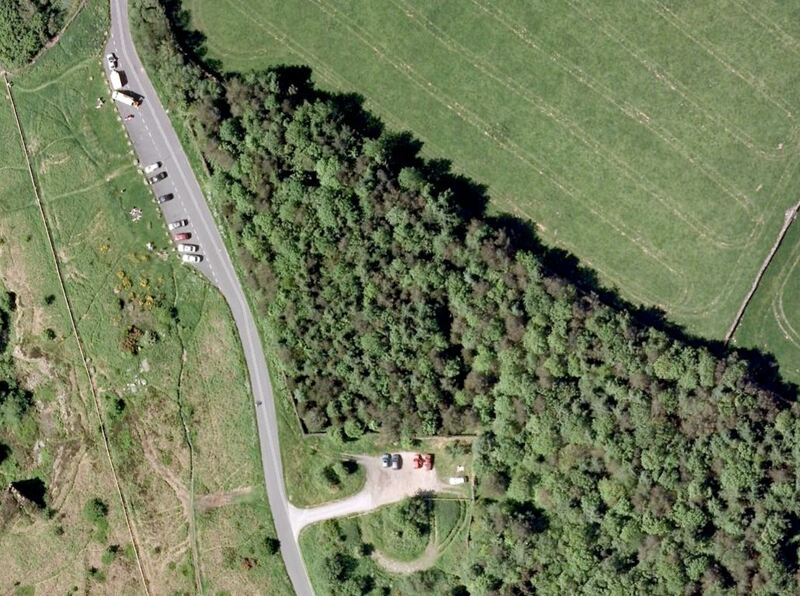 The car park over Stones House is just to the south of the Anglezarke viewpoint. I wonder if Thomas Grundy enjoyed the view? The Pilkington family then occupied Stones House after the Shaws. 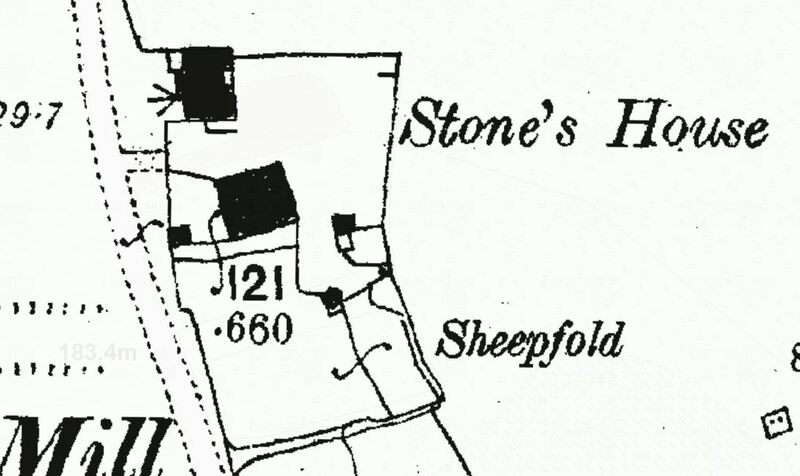 Thomas Pilkington farmed the 37 acres associated with Stones House. He was born in approx. 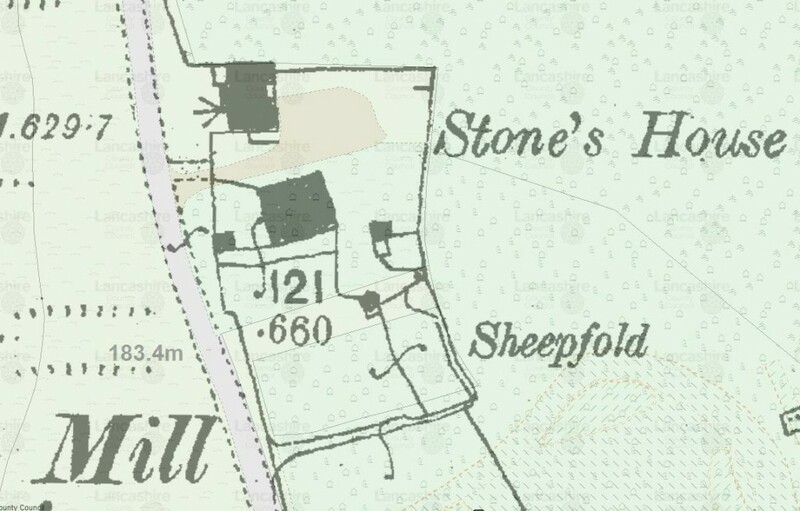 1779 in Anglezarke, and married in 1805, to a Mary Vause who was approximately 3 years his younger. Mary was known to have lived here from marriage as a handloom weaver. After Thomas died in 1837, she continued to live here widowed apparently with their children Joseph and Mary Ann, who would have been some age themselves now, plus lodgers, until she moved out around 1851 and died at a Greenhalgh’s Farm in approx. 1861. 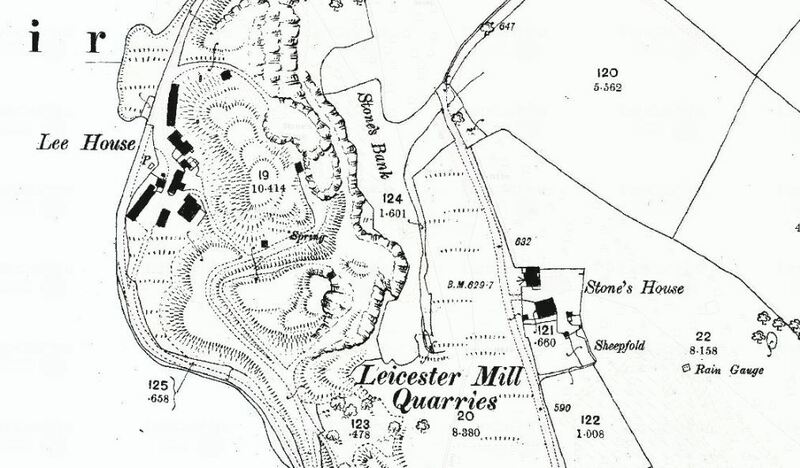 There are links between Stones House and Old Brook’s. Joseph, above, was employed as an agricultural labourer until 1861 at Stones House when he moved to Old Brook’s. You can read more about him on that farm’s entry. I was emailed this great plan of Stones House. After Joseph Pilkington moved out, the property was let to quarrymen, who were known to live here for certain in 1881. Stones House was a very active dwelling at this time, when it combined mixed farming with a carting business. There were said to be eight dairy and other cattle, but only one milking cow. There were also thirty fat half-bred ewes, along with lambs and a “tup” (ram). There was also a farm dog and cat. In terms of the carting activities, there were seven wagon and cart horses here, with several sets of full-size and pony gears, and “a few implements”, including four tons of old iron and a circular saw bench. The present-day car park overlaid on old mapping, courtesy of MARIO maps. Even though Stones House played a very active part in the construction of the reservoirs, and was easily accessible by road, the Liverpool Corporation deemed it yet another dwelling to be vacated, and by 1930 it was in complete ruin. The barn was still standing, but in bad repair although it was still used for housing implements. There were still raspberry canes in the old garden, too, although the quarry had probably worked away considerable land which went with this house. The nearby farms of Jepson’s and Manor House have thankfully survived and are still in apparent good repair. 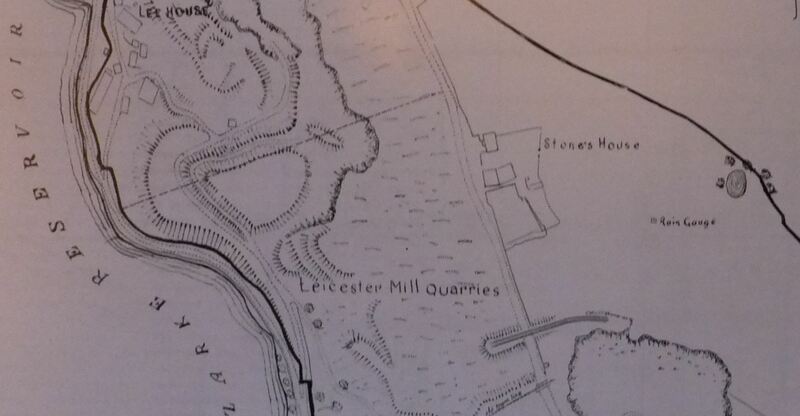 OS First Edition 2500 mapping showing Lee House (The Clog Inn) and Stones House. This is a very accessible location, which is good in one respect, although as you can see from earlier present day photography, there is precious little to see now. I really hope my E Mails are arriving with you now, I know you had some teething issues with the mail server. I have sent you some photos which David Owen supplied to me many years ago with authority to publish. Pages are coming on great and hope to see the site develop more, you are doing a great job. Paul many thanks for the link it contains some valuable information. It would be wishful thinking to think that the Margery mentioned is the person who gave her name to the dwelling “Margery’s Place”.